In advocating democratic socialism, Sanders has promoted a pragmatic politics of the left. His proposals include a sharp increase in taxes on the billionaire class, free college tuition and single-payer health insurance, guaranteeing health insurance to the entire population regardless of jobs and income. He advocates job programs in the tradition of the New Deal. All of these proposals represent things that have been accomplished in other countries, particularly the Scandinavian social democracies, where the populations are better off according to every social indicator. By portraying them as possible here, Sanders has brought the idea of socialism — even a moderate kind — from the margins into the center of U.S. political culture. Many of the young people now trumpeting socialism aren’t clear about what they mean by the word. It’s safe to guess that they’re referring broadly to the tattered social protections that do exist in the United States or to the more robust Scandinavian welfare states that Sanders often speaks of. Worker ownership of the means of production is not on the agenda for Sanders socialists just yet, nor are other questions about democratic control and social rights, ones key to the traditional socialist worldview. Leaving aside the question of the value of pro-socialist think pieces in Jeff Bezos’s newspaper that is largely disdained by the very workers whose interests they defend, there is a failure to critically examine the Scandinavian model that even contributors to the two journals view with skepticism or outright hostility. If we can reasonably identify Sweden as the most representative example of the model, there is an obvious disconnect between the op-ed pieces and what can be found in Jacobin and MR. In 1938 the Swedish trade unions (Landsorganisationen) and the SAF, the Swedish equivalent of the Chamber of Commerce (Svenska arbetsgivareföreningen), signed an accord at Saltsjöbaden that would define the parameters of class peace for the next forty years. Under successive Social Democratic (SAP) governments, the system became known as “socialism” even though it was really a welfare state and nothing more. One of the more unfortunate aspects of the Bernie Sanders campaign is that it keeps this myth alive even though measured by the standards of the 1938 agreement Sweden has not been “socialist” for more than 25 years. State subsidized housing, medical care and education. A specifically Swedish enhancement to the welfare state and one viewed as in line with classically “evolutionary” socialism was called “wage-earner funds”. 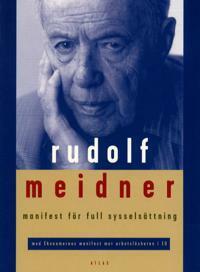 (They were also called Meidner funds after the economist who first conceived of them.) Supposedly a percentage of pre-tax profits plus a part of wages would be allocated to an pool that would buy shares in the companies, gradually taking them over. When Bernie Sanders talks about socialism, he is talking about such policies. I too would like to see them adopted in the USA. Unfortunately, they have disappeared for the most part from Sweden as it speeds rapidly toward adopting the Anglo-American Reagan/Thatcher/Clinton/Obama neoliberal model. The economists who formulated a Keynesian model were graduates of the Stockholm School of Economics, an institution I wrote about in an earlier installment in this series. This business school was launched in 1909 with Knut Wallenberg’s funding. As you probably know, if you have been reading these series of articles, the Wallenbergs were the Rockefellers of Sweden but with a decidedly more liberal outlook—at least until economic growth in the advanced industrial countries slowed down to a crawl in the early 70s. In 1978 a Wallenberg favorite named Curt Nicolin became head of the SAF and embarked on a path to tame the Swedish trade unions and to force the social democrats to adopt neoliberal economics. If you’ll recall what was happening in the USA at the time, a climate of “lean and mean” had begun to set in. Even before Reagan had taken office, President Carter had lectured the American people on the need to tighten their belts. Think tanks on both the liberal left and the right had come to the conclusion that in order to have an expanding economy, it was necessary to become more competitive. This meant working longer hours and accepting the need to cut “wasteful spending” on welfare. In Sweden the SAF funded a massive propaganda attack on the “wage-earner funds” meant partly to put the kibosh on the program and also to put the entire Swedish model on the defensive. On a national popular level in advertisements ‘Meidner Funds’ were connotatively linked with central planning and totalitarianism, presented in black and white images, and were juxtaposed with free enterprise, connotatively linked with freedom of choice, decentralised ownership, initiative and democracy, which were presented in colour. The material was also often targeted so as to interpellate certain groups or towns (‘free enterprise good for Vaxjii’; ‘wage-earner funds concern us barbers too, whether we like it or not’; ‘us gas-station owners too, whether we like it or not’). On an intellectual level, the publishing house Timbro published 22 books between 1978 and 1982, half of which were on free markets and wage-earner funds. The publishing house Ratio was oriented towards theoretical and philosophical debate, and also arranged seminars in philosophy and the social sciences on topics pertaining to freedom, democracy and the market. (In the process, some prominent figures of the Swedish New Left, such as Lennart Berntsson, were converted.) In addition to this, SAF and SI continued their support of the more technical think-tanks, SNS and IUI. This elaborate apparatus provided support for the bourgeois parties in the elections of 1979 and 1982, and thus the prerogatives of capital could be defended. In many respects the partnership between labor and capital in Sweden was like the one that existed in the USA under FDR, Truman and LBJ until the realities of market competition forced a breach. The big difference between other countries and Sweden was the role of the left. Unlike France, Italy or even the USA to some extent, heavy industry was the arena over which the bosses and the Communist Party fought for control. There was never anything like the Flint sit-down strikes in Sweden, at least in the 1930s. (The Adalen General Strike took place in the early 20s when the CP was a much bigger factor.) For Swedish social democracy, the idea was to foster the development of big manufacturers like Volvo that could provide the tax revenues to fund a welfare state. In exchange for class peace, the bosses got a stable workplace and government subsidies. The cars being assembled here are ferried around the plant by separate computer-controlled carriers. Work teams of about 20 people are responsible for putting together entire units of the car, such as the electrical system and the engine. In this batch-work system, each worker typically does a series of tasks. Equally unusual is where Volvo found Kalmar’s managers. Virtually all of the plant’s 104 white-collar employees came off the shop floor. Moreover, all major decisions at the plant, whose work force totals 920, must be approved by a joint committee representing both labor and management. Volvo has discovered that workers are much happier under the Kalmar approach. And that has resulted in sharply improved productivity and improvement in quality, as well as profits that are the envy of the world auto industry. After being sold to Ford in 2000, Volvo finally ended being made in China with Swedish financing. You can understand why. Workers at Geely in China making Volvos on an assembly line (you can be sure) make $5000-7000 per year. That’s much better for the bottom line, after all. Apparently Volvos will soon be made in South Carolina, another bastion of free enterprise. Winding down the manufacturing base in Sweden did not mean an end to capital accumulation. Like Great Britain that had liquidated its coalmines and steel mills, Swedish capital would find other profitable outlets. As Thomas Murphy, a former CEO of General Motors, once put it: “General Motors is not in the business of making cars. It is in the business of making money.” This could apply as well to the Swedish bourgeoisie. There was no special need to invest those profits in domestic productive ventures, since business was going so well anyway. Instead, the growing profits bred speculation and inflated the prices of real estate, art, stamps, and the like. In order to find an outlet for all this speculative capital, the Social Democratic government thought it necessary to eliminate the little control over international capital flows that it had previously exerted. Within a year or two, Swedish capital had spilled over into Europe and helped push real estate prices in London and Brussels to record highs. During the latter half of the 1980s, total direct investments virtually exploded, reaching 84 billion SEK (14 billion U.S. dollars) in 1990. The outflow of capital amounted to as much as 7 percent of Sweden’s GNP, or 60 percent of its domestic investment in 1989 and 1990. Approximately 35 percent of those investments were for speculative purposes (real estate and portfolio investments) and centered on London and Brussels. Swedish capital in fact became one of the most active investors in the EC at the end of the 1980s. This outflow of capital constituted a drain on Sweden’s financial resources, and it also meant that productive investments at home were kept low by the giant and quick profits that could be made on speculation both at home and abroad. As we know now, the bubble burst sooner rather than later, and the losses turned out to be enormous. In Sweden, the banking system lost an estimated 90 billion SEK (18 billion U.S. dollars) on the collapse of the real estate market. Here, private and public commercial banks and the normally-conservative savings and loan institutions had all participated in the scramble. Their enormous losses are now covered by the Swedish state, i.e., by the taxpayers. Thus, wage earners have paid twice for the policy of the Third Road: first, when their wages were sacrificed in favor of profits, and then again when the banks’ losses are covered by the state. Even as the economic basis for a “Swedish model” was unraveling, the social democrats in office appeared to have little interest in swimming against the stream. In fact, they seemed eager to embrace “new thinking” with relish. In 1993 Finance Minister Goran Persson began dismantling the Swedish public education system and fostering the establishment of private schools in the same fashion as Obama’s Secretary of Education Arne Duncan. At the same time the SAP joined hands with the right-wing Swedish Conservative Party (Moderatasamlingspartiet) to make workers responsible for making pension contributions, not the boss. This mean that the longer you are unemployed, the smaller the pension. Socialism? Really? [Prime Minister] Ingvar Carlsson recently visited Malmo, the third largest city in Sweden and a disaster area in terms of unemployment, cutbacks in social benefits, and privatization of health care and other vital services. For example, the public bus service was recently sold to private owners. This led to immediate personnel reductions, wage cuts, and price increases. The cost of a monthly ticket for a pensioner rose from 100 to 390 kronor overnight, which effectively prevents many pensioned workers from using the bus service. Carlsson’s comment on privatization in Malmo was: “I’m not familiar with the details, but in principle we are not in disagreement with our political opponents,” which amounts to an endorsement of the attack on Malmo’s working class. In September 2014, the Social Democrats were elected in Sweden in what many considered to be a rejection of 8 years of center-right austerity. In keeping with earlier partnerships with the right, they show signs that they remain committed to neoliberalism. Just three months after being elected, the new prime minister named Stefan Löfven caved in to rightist pressure and adopted an economic program that was more of the same. Even if it finds the votes necessary to reinstitute a “Swedish model”, it is unlikely that it will be able to sustain through unrelenting pressure from the right. It takes a lot more guts to push through a modest Keynesian economics in 2015 as the sad outcome in Greece demonstrates. In fact, it might even take Molotov cocktails to bring about the most tepid of reforms. In the final analysis, it was inevitable that Sweden became virtually indistinguishable from Britain or the USA since blind economic forces trump policy. If we are interested in true socialism rather than something that rests very much on a partnership with capital, a marriage made in hell to say the least, it probably makes sense to revisit the question of how to get there. That will be the final installment in this series of articles. Knut Wicksell: the father of Swedish social democratic economic policies and an influence on Mises and Hayek as well. Trying to understand the evolution of the economic theories underlying Swedish social democracy is no easy task. There is not only a dearth of English-language material but in Swedish as well. In “Seven Figures in the History of Swedish Economic Thought”, a specialized text on some of the leading economists associated with the “Swedish model”, author Mats Lundahl refers to their output as “unknown” or “forgotten”. If the “Chicago School” summons up images of Milton Friedman consulting with Pinochet, what does the “Stockholm School of Economics” evoke? Founded in 1909 as a business school largely from donations by Knut Wallenberg, it was intended to churn out experts who could help Sweden modernize its economy and develop international trade. The Wallenbergs were the Rockefellers of Sweden and well equipped to shape the doctrines that would govern the nation’s future. As it turns out, the Rockefeller Foundation had considerable interest in Sweden’s politics as well, donating large sums to set up a Social Science think-tank under the jurisdiction of the University of Stockholm that would study the impact of wage levels in the labor market among other things. Among the earliest benefactors of Rockefeller funding was Gunnar Myrdal, a Stockholm School graduate who would later on be referred to the Carnegie Foundation for the funding he needed to write “American Dilemma”, widely considered a seminal work on civil rights. So how did Sweden’s social democracy get hooked up with a business school funded by Sweden’s most powerful capitalist dynasty? In a way this was inevitable given the social democracy’s ideological drift that began in the 1880s and deepened over the decades. It can best be described as the Swedish version of Eduard Bernstein but unconstrained by any kind of left opposition in the party such as existed in Germany. One of the key departures from classical Marxism was rejection of the labor theory of value. Party theoreticians became seduced by the theories of Eugen Böhm von Bawerk, who was arguably the first economist to challenge the core beliefs of Marxism on the nature of capitalist exploitation. As it turns out, the economist who is considered the ideological progenitor of the Stockholm School was one Knut Wicksell, who like Böhm-Bawerk took aim at the labor theory of value. It is of some note that Bohm-Bawerk is considered the father of the Austrian school of economics that includes Mises and Hayek. If Wicksell was an acolyte of Bohm-Bawerk, how did he end up influencing the likes of Gunnar Myrdal who is one of the 20th century’s iconic liberal figures? Furthermore, if the Stockholm School was indeed a pioneer of the kind of economic policies associated with John Maynard Keynes, even to the point of beating him to the punch, how do you explain the odd admixture of neoclassical economics and 20th century liberalism? Wicksell was as much of an influence on the Austrians as Bohm-Bawerk. If you go to the Mises wiki, you will find a page that pays tribute to Wicksell as a major contributor to their business cycle theories. Since much of Wicksell’s writings involve very technical analysis of interest rates and credit allocation, it is not that hard to understand why he would be of use to reactionaries like Mises. But the more interesting question is to what degree Wicksell’s neo-Malthusian views that were put forward largely in non-academic writings had an influence on subsequent social democratic policies, especially forced sterilization. In his chapters on Wicksell, Lundahl finds those writings to be more important than the technical price, interest rate and credit analysis. In lectures to his students at Uppsala University, Wicksell dwelled at length on the vices of the lower class such as alcoholism and prostitution. He was also concerned about overpopulation, thinking that technological breakthroughs could never keep pace with population growth. Much of his writing is focused on determining an “optimum population”. While there is no particular recommendation on the need for forced sterilization, you have to wonder to what extent his fixation on such matters figured in the state policies that would leave many Roma women sterile. If Wicksell’s emphasis on the need for market relations to guarantee efficient provision of capital, labor and resources seems at odds with Swedish values, keep in mind that his influence can be felt in the writings of Gunnar Myrdal who on first blush would appear to be the anti-Austrian par excellence. Perhaps the only thing that can be said here is that Myrdal remained committed to neoclassical economics despite his reputation of being some kind of socialist. If supply and demand dictate what Black labor gets, then how can a civil rights movement be built? To a large extent, Swedish social democratic economic policies rest on the notion of a “third way” in which labor and capital can cooperate with each other and avoid the mutual destruction revolutionary confrontations produce—at least according to theoreticians such as Knut Wicksell, Gunnar Myrdal, et al. But to what extent did the bourgeoisie really agree to a compromise that left both major classes in society on an equal footing? Were the Wallenbergs et al swayed by reason or were there other factors that accounted for the class peace that had dominated in Sweden for so many decades? ￼ The Social Democrats were historically linked to the unions, from which they derived much political support, but as a party often in government, it felt obliged to reduce the economic losses from labor conflicts. In the 1920s the SAP “repeatedly advocated general interests over and above the struggle of individual groups of workers for better working conditions”. Throughout this period, in fact, the SAP often stood with employers on the issue of wage rates. When the employers said that a wage reduction was unavoidable, the Social Democratic representatives in the unions often supported them. In 1920, for example, in response to a recession and in the face of unions’ appeals, the Social Democratic Minister of Finance declared “The demand for increased wages must cease”. The party was also willing to criticize outbreaks of violence in clashes between workers and police. In several labor disputes, even though the police apparently used excessive force, the SAP proved willing to denounce the tactics of striking workers. “Offenses against existing law must always be condemned,” the SAP Prime Minister argued. In exchange for a housebroken trade union movement, the SAP was able to provide sizable material benefits to the working class until global competition in the 1980s forced Sweden to rip up the accords it had made with the workers and throw them in the garbage can. That will be the topic of my final article in this series. (Off-camera) You’re asking for a lot of shakeup. Is it really possible for someone who calls themselves a socialist to be elected president of the United States? Well, so long as we know what democratic socialism is. If we know that in countries in Scandinavia, like Denmark, Norway, they are very democratic countries. Obviously, their vote of turnout is a lot higher than it is in the United States. In those countries, health care is the right of all people. In those countries, college education, graduate school is free. In those countries, retirement benefits, childcare are stronger than the United States of America. And in those countries, by and large, government works for ordinary people in the middle class rather than, as is the case right now in our country, for the billionaire class. 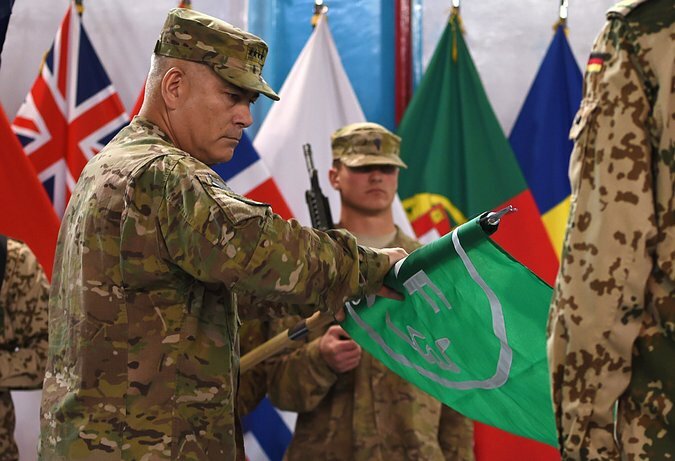 KABUL, Afghanistan — Two European allies of the United States have been directly participating in so-called kill decisions against insurgents in Afghanistan despite rules prohibiting them from doing so, according to two senior Western officials with knowledge of the operations. The accusations concern airstrikes, mostly by drones, that American officials have justified as part of a lasting counterterrorism mission agreed to with the Afghan government. However, some of the strikes have come under question as being far more aggressive than the security deal allows for. Who rules Sweden? They do. For most people, Sweden has an egalitarian mystique that is best sustained by knowing as little as possible about the nation’s economy. Furthermore, using the term “socialism” to describe Sweden is an exercise that works best when you know as little about the political economy of capitalism, especially as explained in the writings of Karl Marx. To start with, there is a ruling class in Sweden. As Lennart Bernston pointed out in a chapter titled “The State and Parliamentarianism in Sweden” in a 1979 collection edited by John Fry and titled “Limits of the Welfare State: Critical Views on post-WWII Sweden”, about 100 large companies account for more than a half of industrial production and sixty of those are owned by 15 families, which in turn are clustered around 3 banks—at the top of which sits the Wallenberg’s Stockholms Enskilda Bank referenced below. It is a sad commentary on radical analysis of Sweden, at least in English-language volumes and articles, that no other book except Fry’s could be located in the Columbia University library. When you study the history of American capitalism, family fortunes come to mind generally associated with a quote misattributed to Balzac’s “Pere Goriot”: “Behind every great fortune there is a great crime.” This is what comes to mind when you think of the Robber Barons whose as a group constituted the big bourgeoisie of the late 19th and early 20th century. Who are the Swedish Rockefellers and did they accumulate wealth based on criminal behavior? As it turns out, it is the Wallenberg family that is the Rockefellers, Morgans, and Duponts rolled into one. Despite the aura that surrounds the name due to Raul Wallenberg’s efforts on behalf of Hungarian Jews during WWII, the family bank—the Stockholms Enskilda Bank—aided Nazi Germany during the same time through money-laundering and other criminal activities as I indicated in the first installment in this series. By the late 1990s, the Wallenbergs owned forty percent of the shares traded in the Swedish stock market and two cousins –Jacob and Marcus– sit on the board of virtually every large company in Sweden. On a national popular level in advertisements ‘Meidner Funds’ [trade union shares in a corporation] were connotatively linked with central planning and totalitarianism, presented in black and white images, and were juxtaposed with free enterprise, connotatively linked with freedom of choice, decentralised ownership, initiative and democracy, which were presented in colour. The material was also often targeted so as to interpellate certain groups or towns (‘free enterprise —good for Vaxjo’; `wage-earner funds concern us barbers too, whether we like it or not’; ‘us gas-station owners too, whether we like it or not’). On an intellectual level, the publishing house Timbro published 22 books between 1978 and 1982, half of which were on free markets and wage-earner funds. The publishing house Ratio was oriented towards theoretical and philosophical debate, and also arranged seminars in philosophy and the social sciences on topics pertaining to freedom, democracy and the market. (In the process, some prominent figures of the Swedish New Left, such as Lennart Berntsson, were converted.) In addition to this, SAF and SI continued their support of the more technical think-tanks, SNS and IUI. This elaborate apparatus provided support for the bourgeois parties in the elections of 1979 and 1982, and thus the prerogatives of capital could be defended. In other words, just as the time the Kochs were providing seed money for the Cato Institute, the Heritage Foundation, and universities all over the USA to promote the free market, the Wallenbergs were up to the same shenanigans in Sweden. Many current problems confronting the working class arise from the new phase which Swedish capitalism has entered since the mid-sixties. Among other things, this new phase is characterised by the fact that Sweden can no longer exploit the exceptionally advantageous conditions it previously enjoyed in comparison with the rest of Europe — the avoidance of domestic industrial and civilian destruction in two wars and a comparatively milder political and economic crisis during the thirties. The positive impact of these factors however declined at about the same time that the domestic market became increasingly unable to absorb monopoly capital’s growing capabilities for investment and commodity production. Parallel to this was the emergence of the special problem of the tariff protected European Common Market and the rise of increasingly keen international competition since the mid-sixties. These new conditions, which to a certain degree Swedish capitalism had in common with many other advanced capitalist countries, have given rise to a situation where the bourgeoisie’s rate of profit has begun to decline. It is quite mystifying why Bernie Sanders can embrace a Swedish (or Scandinavian) model that disappeared decades ago. It is one thing for an aging politician to be living in the past. It is another for young people who occupied Wall Street and who seek fundamental social change in the USA to do so. Unless the new generation of leftists comes to terms with what “socialism” means and what that term has or has not to do with Sweden, it will be led hopelessly astray. Feeling duty-bound to understand the origins and development of Swedish social democracy, I slogged through 342 pages of Herbert Tingsten’s “The Swedish Social Democrats: the Ideological Development” that was written in 1941. The emphasis is on ideological since the book pays scant attention to what is happening on the ground. It reads more or less as a chronicle of debates in a party from its founding in 1899. I got what I needed from it by the time Tingsten worked his way up to 1932 or so when party leaders were trying to figure out what relevance their ideology had to the Great Depression. As a reflection of the book’s somewhat limited value, it fails to mention the General Strike of 1931 that was sparked by the shooting of papermill strikers and their supporters in Adalen. Tingsten changed his political views several times during his life. In his early youth he was a conservative and later a radical left-wing liberal. During the 1920s he joined the Swedish Social Democratic Party and was on the left-wing faction of the party. In 1941 he wrote Den svenska socialdemokratiens idéutveckling (“The Ideological Development of the Swedish Social Democrats”), where he criticized the party for not fulfilling the marxist goals of nationalizations of the private industry. However, after reading Friedrich Hayek’s The Road to Serfdom in 1944, Tingsten became a convinced believer in a free market economy and in 1945 he left the Social Democratic Party. He was one of the original participators of the Mont Pelerin Society, founded in 1947. I certainly got the impression that the 1941 book was critical of the Swedish social democrats from the left even though Tingsten was careful to strike a neutral tone. But page after page is devoted to pointing out how willing the party was to dump the Marxist ideas that were present at its founding even if they were tainted by Lassalle’s state socialism as I pointed out in a previous post. In the late 1800s the Swedish party (SAP, or Social Democratic Workers Party) was a virtual hotbed of “revisionism”, almost always adopting views that were antithetical to Marxism, such as the rejection of the labor theory of value. As I worked my way through Tingsten’s text, which read more often than not as a stenographer’s notes from various SAP meetings, I was struck by how committed the SAP was to remaining within a liberal capitalist framework even as it paid lip service to socialism. In examining some of the earliest programmatic statements by Hjalmar Branting, Tingsten points out that he had a rather “inclusive” understanding of the term proletariat. There was an industrial proletariat but there was also a proletariat based on receiving a salary. This would exclude poor farmers and small craftsmen but it would include bankers, cabinet ministers and professors. Before long, Branting and other party leaders began to think in terms of “the people” rather than the proletariat, seeing social democracy as a force that could unite everybody in opposition to the big bourgeoisie. While Tingsten says very little about this, there is little doubt that the populism of the early days of Swedish social democracy lent itself to the peculiar notion of folkhemmet, or “the people’s home”, that party leader and Prime Minister Per Albin Hansson developed in the 1920s. If you’ll recall, Hansson was in power during WWII when Swedish industrialists were helping to keep the Nazi war machine going. Folkhemmet was also key to the eugenics program that the Myrdals espoused, which blurred the lines between the family unit, the state and the seemingly progressive character of the welfare state that the social democrats promoted. Under folkhemmet, the goal was basically not to overturn property relations but to reduce the differences in income between those at the top of society and those at the bottom. In essence, this is what attracts people like Bernie Sanders to Swedish “socialism” even though it has little to do with Karl Marx’s call for revolutionary change. Doesn’t this ring a bell? It should. Hitler implemented this approach even though he never specifically referred to Kjellén. There is no doubt in my mind that Henning Mankell, a self-confessed supporter of the radical left, is having his protagonist, Kurt Wallander, represent his own disillusionment with the retreat from the ideals of folkhemmet [the people’s home] and his own yearning for its political restoration. The rhetoric of nostalgia remains in fact a potent factor in Swedish politics. This is most explicit in the party that still claims political ownership of the Swedish model, the Social Democrats. Although the party, while in government, has been instrumental in many of the changes signifying a retreat from the model, and while in opposition, has largely acquiesced to liberal-conservative proposals to the same effect, it has skilfully managed to retain most of its traditional rhetoric, depicting itself as the true custodian of folkhemmet. What is also of interest given the stated goal of Bernie Sanders to turn the USA into something like Sweden (at least like it used to be) is whether rich people like the Koch brothers will go along with it. Maybe we could import a new bourgeoisie while we are in the process of importing a new ideology. But what could have made Sweden’s one percent so amenable to a tax structure that had a leveling effect? Was it something in the water? To start with, it is important to understand that the Swedish social democracy never appeared as a threat to moneyed interests as should be obvious by both their ideology and their willingness to collaborate with bourgeois parties. Given the relatively crisis-free nature of Swedish capitalism (it fared better than most European countries during the Great Depression) and the nation’s neutralism that protected it from the ravages of war, there were fewer irritants at work on the working class at least as compared to France and Germany for instance. All this led to the trade union movement and the bosses hammering out a partnership based on class peace in 1938 at Saltsjöbaden, a town with salt bath spas as the name indicates. While sacrificing the big profits that a more greedy capitalist class sought, there was at least a guarantee that strikes like the ones that roiled Sweden in 1931 would be kept to a minimum. You can be sure that people like Walter Reuther studied this agreement carefully. Indeed, the Saltsjöbaden agreement and the New Deal represented welfare state capitalism at its pinnacle. When Obama was elected in 2008, people at the Nation Magazine held out hope that he would be a new FDR. There was about as much chance of that happening as the USA adopting a “Swedish model” even in the most unlikely event that Sanders got elected. The reason for this is easy to understand. The American bourgeoisie long ago gave up on New Deal type partnerships between labor and capital. It was much easier to close plants and relocate capital to China, Bangladesh and elsewhere. In fact even the Swedish bourgeoisie has little interest in turning back the clock to 1938, something that will be the topic of a future post. In my very first post on Swedish Social Democracy, I stated that it was closely related in spirit to the Lassalle wing of the German Social Democracy that Marx and Engels viewed as adapting to Bismarck’s welfare state reforms, which turned out to be a velvet glove concealing an iron fist. It turns out I was on the right track. A document that [August] Palm published in his newspaper The Peoples Will (Folkviljan) in November 1882 is often characterized as the first Swedish social democratic program. It was said to have been adopted by a small organization known as “The Swedish Social Democratic Workers’ Federation,” which Palm had founded in Maimo. In reality, the program was an almost uniform translation of the Danish Gimle Program adopted in 1876, which was, in turn, derived from the German Gotha Program of 1875. Palm’s translation was poor, in some instances inaccurate; the various details in its formulation cannot be interpreted as expressions of specific ideas. This summary will not consider words or phrases that are obviously products of ignorance or misunderstanding. The following sentence introduced the program: “Labor is the true source of all wealth and culture, and all the returns thereof should accrue to him who performs the labor.” The tools of labor are the monopoly of capitalists; the surplus produced by labor should revert to the workers. Salaried labor should be abolished. Production unions should be established through state subsidies to lay the groundwork for the solution of The Social Question. These unions should be so organized “that the socialist organization can develop through collective work.” The program set up a series of demands that were to be implemented even “under the present capitalist rule”: progressive inheritance taxes, abolition of indirect taxation, which weighed heavily upon the masses, abrogation of the ordinance regarding the treatment of vagrants and the defenseless, the establishment of a standard working day, prohibition of the use of child labor in factories, which jeopardized the children’s health, regulation of sanitary standards in workers’ housing, factories, and other places of work, the workers’ right to administer “without government intervention” funds for sickness and relief benefits, state care for the ailing, the aged, and for those disabled through accidents at place of work. In the autumn of 1885 the Social Democratic Union in Stockholm worked. For most people of Bernie Sander’s age, Sweden’s long-standing neutrality gave it an aura of progressivism during the Vietnam War when it lent itself to peace activism at the highest level of government. However, during WWII that policy had a much more malevolent effect insofar as it meant that the government would tilt toward Nazi Germany economically and militarily—this despite the fact that the Prime Minister Per-Albin Hansson was a Social Democrat. In December 1939 Hansson called for a government of national unity that would include parties from all parts of the political spectrum except for the CP. He named a non-party career diplomat Christian Guenther as Foreign Minister to replace the Socialist Rickard Sandler, a move calculated to advance Sweden’s pragmatic view of neutrality. To avoid war with Germany, a nation that had already conquered Denmark and Norway, Sweden took a very flexible attitude toward Nazi troop movements on its soil. On July 8, 1940 the two nations hammered out a deal that would prove useful to Nazi war plans. Around 30,000 Nazi soldiers would board Swedish trains each month as the same railway transported 1500 trainloads of Nazi armaments. Although the rank-and-file Socialist objected to this, the king and Christian Guenther pushed strongly for acceding to German demands. As will be noted in the film clip below, Per-Albin Hansson was much more persuaded by these two men than he was by the ordinary Swede. On June 26, 1941, the day that Finland entered the war against the USSR, Sweden gave the green light to a trainload of 15,000 Nazi soldiers to head East on behalf of Operation Barbarossa. Between June 22nd and November 1 of the same year Swedish trains carried 75,000 tons of German war material to head in the same direction. As the trains came back from the front, they carried wounded Nazi soldiers to occupied Norway where they were treated in Oslo hospitals until they were ready to return to the killing fields. Swedish authorities also set up base camps for the Wehrmacht fully supplied with food, oil and other necessities. And all the while German warplanes flew over Swedish air space en route to Russia. Sweden was also nice enough to sell or lease more than a thousand trucks to Germany just to make sure that the invasion of Russia would not go haywire. It was only when Germany began to suffer a serious setback in Russia and when the allies escalated their pressure on Hansson that Sweden finally began to deny German requests to transport men and material on its railway system. One can easily imagine that if Germany had accomplished its goals in Russia, the government of national unity led by a politician who was considered the architect of the “Swedish model” might have kept up its de facto support of Nazi Germany’s genocidal war. In November 1934 Hitler admitted that without Swedish iron ore, Germany would not be able to make war. Meanwhile, a balance of trade was maintained to some extent by Sweden’s willingness to buy German coke and coal, as well as German weapons that by all accounts were very cost-efficient. Just ask the people of Leningrad. It should be added that a large part of Germany’s payments for Swedish iron ore and ball-bearings (another important component of the war machine) was made with gold that by all accounts consisted to a large degree of loot stolen from Belgium, the Netherlands and Jewish families and then melted down to avoid detection. But then again, if the gold was being used to pay for socialized medicine in Stockholm, who could complain? In view of continued Swedish supplies to the Third Reich it is not surprising that relations between Sweden and the Allies ‘remained characterized for the rest of the war by suspicion and anger on the part of the Allies and nervousness over post-war trade prospects among the Swedes’. Although, by 1944, Germany was evidently losing the war, Sweden continued to make a vital contribution to the German war effort. In September 1944 Churchill brought the attitude of the Swedes to a point when he accused them of ‘calculated selfishness, which has distinguished them in both wars against Germany’. Why did the Swedish government not respond more readily to the growing Allied pressure? One important reason was that, even during the second half of the war, the Swedish government and an overwhelmingly pro-Allied Swedish public accepted trade with Germany as a national right under international law.”‘ During the course of 1944, this line of argument rang increasingly hollow in the light of growing evidence about the horrifying nature of the atrocities committed by Nazi Germany. Leading members of the Swedish government continued to believe, however, in the need to retain normal relations with the Nazi regime. Historians have highlighted particularly the attitude of the leader of Sweden’s government, Per Albin Hansson. According to Alf Johansson, a leading Swedish authority on wartime Sweden, Hansson continued to believe in the threat of a German invasion long after it had ceased to be a realistic possibility. Moreover, Johansson argues, ‘Hansson’s role during the last years of the war was to act as a brake on all attempts towards an activism of Swedish policy in one direction or the other.’ Essentially, Hansson seems to have wanted to sit out the war without having to make any radical changes in the course of Sweden’s policy of neutrality. In this undertaking Hansson was very willingly supported by his foreign minister, Gunther. On the basis of observations made by various of Giinther’s fellow officials, Levine has concluded that Gunther’s policies were quite pro-German even in the later stages of the war. Last October I reviewed a film called “The Last Sentence” for CounterPunch that was a biopic of the later years of Torgny Segerstedt, a Swedish newspaper editor who blasted Hitler repeatedly much to the chagrin of Per-Albin Hansson, his foreign minister Christian Guenther, and King Gustav. Over drinks, Albin warns Segerstedt to quiet down his anti-Nazi editorials. King Gustav reads Segerstedt the riot act. Segerstedt confronts Marcus Wallenberg, a member of the banking dynasty best known for the efforts of his nephew Raul Wallenberg to save the lives of Hungarian Jews. Segerstedt confronts Christian Guenther in the men’s room of Swedish government offices. In 1997 the world was shocked to learn that between 1935 and 1976 Social Democratic governments forced 63,000 women into being sterilized. As part of a eugenics program meant to weed out the genetically or racially ”inferior,” the women were told that they would lose benefits and be separated from their living children if they refused. Typically the women were poor, learning disabled or people with non-Nordic or mixed ethnic backgrounds. The Roma were prime targets of this persecution. In January 2011, Swedish government official Erik Ullenhag admitted, “Throughout history the Roma have been victims of unacceptable abuse, such as forced sterilisation and being deprived of the right to educate their children.” Long after forced sterilization came to an end, the Roma were still being singled out in a Nordic version of racial profiling as CounterPuncher Ritt Goldstein reported on secret files maintained by the cops on Romas, a so-called “gypsy registry”. One entry reported a woman as being as “black as night”. For the longest time, Sweden social democracy has had a thing about the underclass. Beneath the velvet glove of social benefits, there is the mailed fist of laws intended to rid society of those elements that could not be molded into proper members of “the people’s home”—the term coined by the social democrats to describe their ideal. Even before eugenics became government policy, you could see a strain of hostility toward the poor in the Stockholm School of economics—their version of Keynesian theory—where Gunnar Myrdal and Dag Hammarskjold were trained. 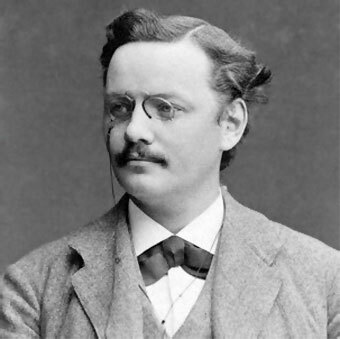 Johan Gustaf Knut Wicksell, a leading light of the business school of the University of Stockholm that had a profound impact on social democratic policy, was a diehard Malthusian and as such a firm believer in birth control not so much from the standpoint of women’s liberation but as a way to keep Sweden from being “overpopulated”, particularly by the riffraff who are alcoholics or prostitutes as he was fond of pointing out in his lectures. As leading lights of the Swedish social democracy, Gunnar and Alva Myrdal played a major role in developing the policies that would lead to the monstrous punishment of the weak and the poor. Their theories were hardly the stuff of the Third Reich. You will not find anything about defending Nordic purity, etc. Instead it would be described as “pronatalism”, a belief that the government had a duty to promote family growth in a society that was experiencing falling birthrates despite Wicksell’s neo-Malthusianism. For the Myrdals, poverty was not a breeder of large families, which is often thought to be the case. Instead Sweden faced a problem of demographic decline since the Victorian era, one that the Myrdals interpreted as the outcome of inadequate means. So the answer was to shore up the nuclear family through public housing, income supplements, subsidized medical care—all the things we associate with the modern welfare state. They were also strong supporters of birth control but much more from the standpoint of women’s liberation than neo-Malthusianism. If you keep in mind that such a program was intended to “breed” a superior sort of human being that could take his or her place as a productive member in the “people’s home”, you can understand why they would as well look askance at the sort of human beings rolling off the assembly line that were designated as rejects. Under the rubric of “quality-oriented” policy, the Myrdals described forced sterilization as a necessary option. While affirming, from a “race-biological viewpoint,” the equality of genetic material among all Swedish population groups, they added that a genetically inferior (mindervardighet) substrata existed within the population: the insane, the mentally ill, the genetically defective, and persons of bad or criminal character. 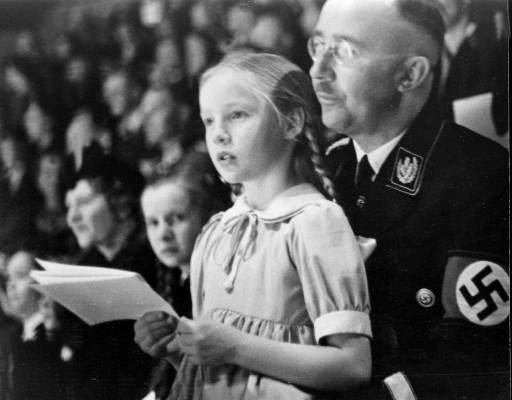 With the German nazi program again as foil, the Myrdals stressed that their category of targeted individuals was drawn from all population and social groups. The reproduction of this inferior stock was undesirable, since offspring ran a strong risk of hereditary damage to health and intelligence. Because the government would be called upon to support genetically damaged children, the Myrdals concluded that the state had the right in limited cases to force sterilization on individuals. The guiding assumption should be to resort to the process only in recognized serious cases of illness and defect and only among those incapable of “rational decisions.” Where individuals were capable of reason, voluntary sterilization should be actively urged. Failing this, free contraceptives and eugenic abortion should be made available. For the most thorough discussion of Swedish social democracy and eugenics, I recommend the article “Eugenics and the Welfare State in Sweden: The Politics of Social Margins and the Idea of a Productive Society” (Journal of Contemporary History July 2004) by Alberto Spektorowski and Elisabet Mizrachi who ironically were faculty members of Tel Aviv University, a pillar of the state that has carried out its own form of cleansing. In another article Spektorowski recommends that Israel become part of a regional framework based on the European Union in order to solve the Israeli-Palestinian conflict. I hope that this folly does not prejudice you against his scholarship on Sweden that is first-rate. The Myrdals came of age when eugenics was all the rage in Europe. Francis Galton coined the term in 1883 as a way of applying social Darwinism to family planning. It became a staple of the Fabian Socialists who were gung-ho for weeding out undesirables. For George Bernard Shaw, H.G. Wells and the Webbs, it was key to social betterment through gradual reform. While the romantic numskulls of Nazi Germany are dreaming of restoring the old race of Europe’s Dark Forest to its original purity, or rather its original filth, you Americans, after taking a firm grip on your economic machinery and your culture, will apply genuine scientific methods to the problem of eugenics. Within a century, out of your melting pot of races there will come a new breed of men – the first worthy of the name of Man. Indeed, the Swedes and the Russians would have disavowed the use of eugenics on a racial basis. Unlike the Nazis, they would limit it strictly to those who were mentally deficient, mentally ill, or had epilepsy. Alfred Petren, the head inspector of Sweden’s mental institutions and a member of parliament, submitted the first sterilization bill in 1927. He argued that it was necessary to avoid costly life-long institutionalization. Well, that makes sense when you think of how that would have drained precious resources for raising those better qualified from a social Darwinist perspective. When one thus has tread the path of correcting a social evil by means of force, violating the inviolability of life . . . many will say: this is only the first step. Why should we stop here? … Why only deprive these individuals useless to society and to themselves of their ability to procreate? Is it not more charitable to take their life as well? In 1941, the reforms advocated to expand the sterilization bill were more far- reaching than eugenic argumentation would allow, and originated in part in the frustration of legislators over the limited extent to which sterilization was performed under the existing legislation. The primary reason for expanding the law was to regulate the sterilization of those considered fit to give their consent to the operation. The new law would regulate the voluntary steriliza- tion of persons of ‘legal capacity’. The proposed law added a social indicator to the existing reasons for sterilization, implicating persons who ‘due to an asocial way of life are . . . obviously unfit to have custody of children’. Asociality in this instance meant vagabondry, alcoholism, etc. The central claim from the social point of view was that children, due to one or both parents’ ‘inferiority’, would grow up in an unfavourable environment and not receive the care and upbringing necessary to develop into capable members of society. In those cases it would be better if children were not born. This was considered a humanitarian approach. Finally, although it does not relate to the question of eugenics, a brief word should be added about the Myrdals’ most famous book, “The American Dilemma”, that dealt with racism. At the time it was considered a breakthrough since it regarded the “pathologies” of the slum as a product of a race-divided society. Oliver Cromwell Cox, the West Indian-born sociologist whose brilliant but mostly neglected book Caste, Class, and Race was published just a few years after An American Dilemma, took Myrdal to task for downplaying the connection between race and economic exploitation. Cox singled out Myrdal’s “mystical” belief that changing individual attitudes would end the “exploitation” at the heart of racial inequality. “In the end,” wrote Cox, “the social system is exculpated.” Myrdal’s critics grew more numerous in the 1960s. In their 1968 manifesto Black Power, Stokely Carmichael and Charles Hamilton offered their own challenge to individualistic understandings of race relations and coined the term “institutional racism” to account for the ways that racial inequality was not solely or even primarily a matter of beliefs or attitudes. They pinpointed “conditions of poverty and discrimination” rooted in unequal relationships of power and privilege, like the healthcare system that failed urban blacks and that “destroyed and maimed” lives every bit as effectively as the actions of the most brutal individual racists. As I will point out in a subsequent article, Myrdal’s failings had to do with the very nature of Swedish “socialism”—its abandonment of Marxism in favor of a liberalism that would be the envy of the world until capitalist crisis rendered it just as obsolete as Soviet era “socialism”. But in my next post, I will describe how Swedish neutrality during WWII coincided with a lucrative trade relationship with Nazi German. Yet such explanations are less than adequate explanations for the Myrdals’ reluctant, apologetic confession of a “mild Swedish nationalism.” The world war, the Bolshevik Revolution, and the Great Depression wreaked havoc with socialist internationalism. The new alternative, national socialism, took more than one form in the 1930s. One feature of the extreme Right in Sweden is that, despite the weakness of its popular support, it is remarkably well represented among the elite and ruling classes: among scientists, academics and high-ranking military officers. It was not just theorists like Kjellen and Molin who were in the vanguard in formulating ideas which then became prevalent in the Third Reich. Herman Lundborg, the world’s first professor of eugenics, was part of the trend as early as 1910, and founded the Swedish Society for Racial Hygiene. A decade later he managed to get more or less the entire Establishment behind him when he set up a Swedish racial research institute. The National Eugenics Institute opened in 1921, with Lundborg at its head, and became well known for its large-scale field-research projects on the Swedish people. He and his colleagues travelled all over the country, photographing, measuring and making notes. The subjects of this research, seeing no harm in it, were allocated to racial groups on the basis of their physical constitution, skin colour, hair colour, shape of cranium, cranial circumference and so on. And there were few who doubted its scientific validity. On the strength of his findings, Lundborg pursued a vigorous campaign for an active population policy, including compulsory sterilization of undesirables, such as Lapps, Gypsies and vagrants. If this were not implemented, the fusion of the races would escalate and culture would fall into decline: `Sexual urges would intensify, immorality, hedonism, vice and crime break out and leave their mark on society. Sooner or later it would lead to discord, dissent, riot and revolution’ (according to an article in Svensk Tidskrift in 1921). One reason for the rapid and widespread support for Lundborg’s theories was that there had been a deep-seated belief since the mid-nineteenth century that the Germanic peoples of northern Europe were related and that Sweden was their original home. So when the Nazis stepped forward and began talking of restoring the honour of the German nation and defending the Nordic race, many Swedes were willing to listen. And these were not so much Swedish Nazi party members as influential individuals in politics, the civil service, the business world, the military, the police, even the royal family. Some of the greatest admirers of Germany before and during the Second World War were to be found in the Swedish military. When Hitler celebrated his fiftieth birthday in the spring of 1939, he was congratulated by a Swedish delegation of high-ranking officers led by the future supreme commander Olof Thornell. They were accompanied by the openly Nazi Carl Ernfrid Carlberg and Henri de Champs as representatives of the Manhem Society (a patriotic Scandinavian association named after Olaus Rudbeck’s seventeenth-century book of Gothicist speculations) and the Swedish-German Association, who also presented Hitler with a gift, a statuette of Charles XII, which he is said to have much appreciated.